The Homeless Navigator Project is a new Comic Relief and Essential Edinburgh funded service within Cyrenians that seeks to address a visible problem with rough sleeping in Edinburgh. The project aims to offer an alternative opportunity for people who are experiencing homelessness and cannot, for whatever reason, make use of the current support services that exist in Edinburgh. The Homeless Navigator Project offers a peer support service, delivered by someone with lived experience of homelessness, for those who are rough sleeping or vulnerably housed. Recent research by Crisis shows that homelessness in Britain is projected to double by 2041. 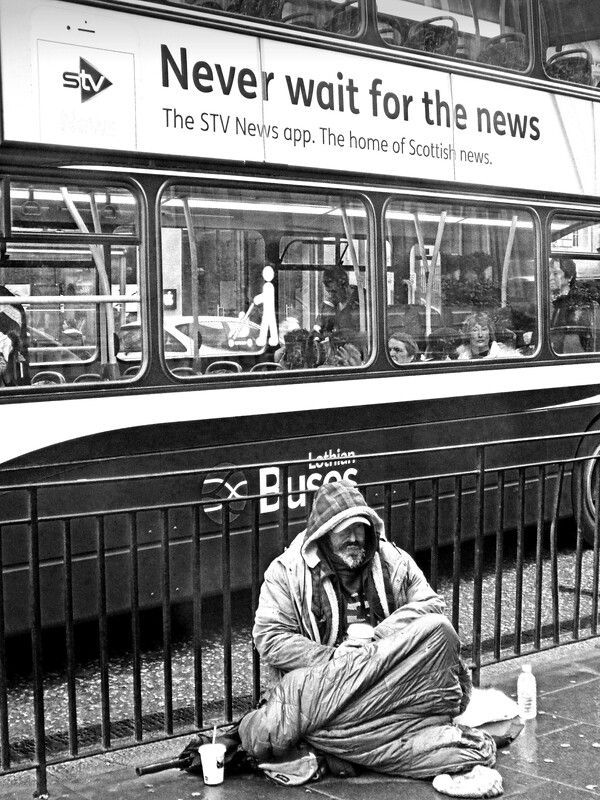 Another report by Shelter Scotland suggests that figures of people sleeping on the streets might actually be higher than imagined as some people do not seek the help they need. With that in mind, the Homeless Navigator Project will offer rough sleepers a chance to speak to someone who has been homeless and understands the challenges involved. The Homeless Navigators, who are a combination of peer workers with lived experience of homelessness and experts by training, will tour around Edinburgh on foot. They will identify people who are sleeping on the streets in order to form supportive relationships and increase their uptake of services such as Housing, Health, Employability and Substance Misuse. When working with marginalized and vulnerable people, establishing trust is crucial. A peer approach works on the basis that someone who has experienced the same difficulties is motivated by positive, caring reasons – they have been there themselves and they know how challenging it can be. There are no eligibility criteria or referrals into the project – the team will actively seek out and build relationships with people who are on the streets and offer them support. If you wish to find out more about the service or make us aware of someone spending time on the streets who would like some help then please contact us on 0131 475 2354. The Homeless Navigator Project is part of the Outreach team at Cyrenians. Outreach at Cyrenians is a group of services that promote the inclusion of people who experience homelessness as well as other disadvantages, such as poverty, poor mental health and substance misuse. The Outreach team builds trusting relationships with people in order to allow them to achieve their goals using a combination of expertise by training and lived experience.